I'm Jeff Ong: Collected Our Big Bang Tix! Woohoo! After a long wait, we finally managed to arrange a meet up with Sharon, the person who helped us purchase our Big Bang Concert Tickets. 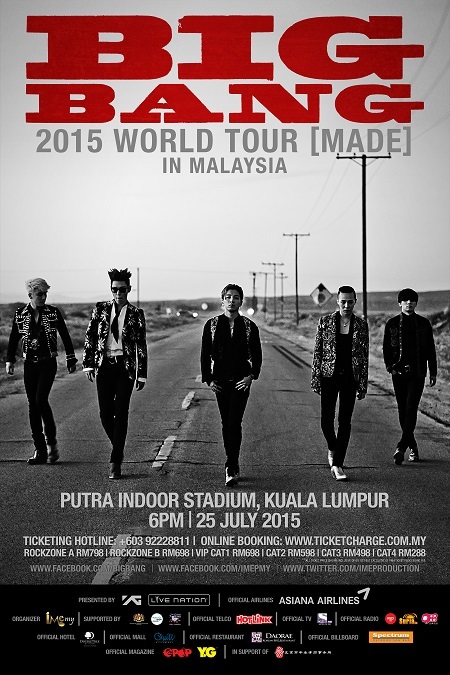 It'll be held on 25 July, at Stadium Bukit Jalil. We're so excited! So, continuing from where I stopped, meeting with Sharon, I was rather impatient. I usually can't wait for anything (I even have a t-shirt that says "Now or Never" to prove my point, lol). As soon as I got my hands on the tickets, it felt like I touched gold! One reason is that it's my first time getting so excited over a concert, and furthermore it's Big Bang! Another reason, is because they were very expensive, so it did feel like gold, for a moment. Here's a poster which is circulating over the Internet. 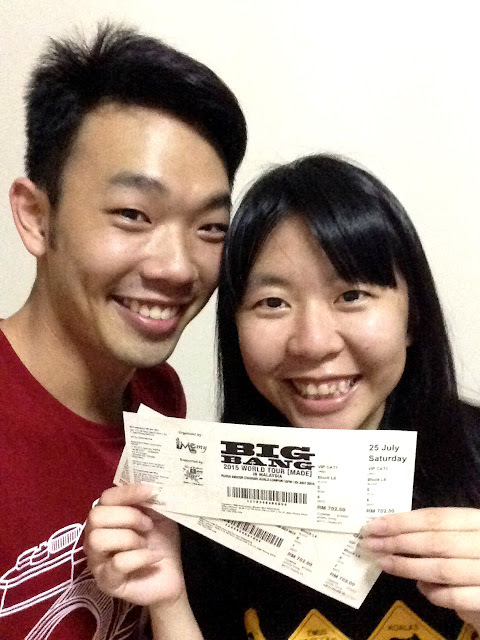 Here's the both of us posing with our Big Bang Concert Tickets!